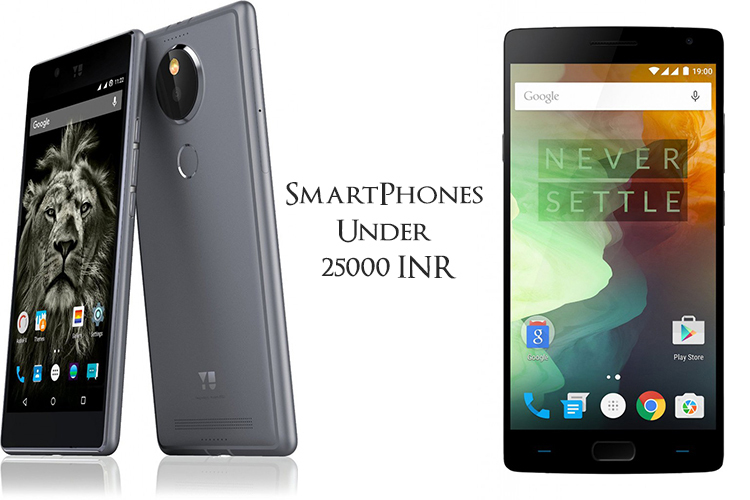 Up to 25000 INR has turned to be an all new smartphone range that people are leaning towards. A lot of smartphones in the price range of up to 25000 offer enough features for people to go buy them, rather than going for traditional flagships, priced much higher than this. Especially in the last 6 to 8 months, we’ve seen a lot of devices come under this price point and offer great user experience. Recently, Yu launched the Yu Yutopia, priced at 24999, which stacks against the OnePlus 2, launched in late July this year. But does the Brand value matter more than the user experience? Let us find out. In order to come up with this article, and it’s conclusion, we did a poll on Twitter and Facebook, in which we asked the people for their opinion on what matters more, the hardware, the software, or both of them combined or just the brand value. 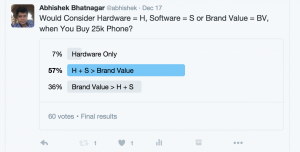 And as I had expected, majority of the people voted that the hardware and software experiences matter much more than the brand value of the phone to them. Some of them still did vote that the brand value is the most important thing for them. 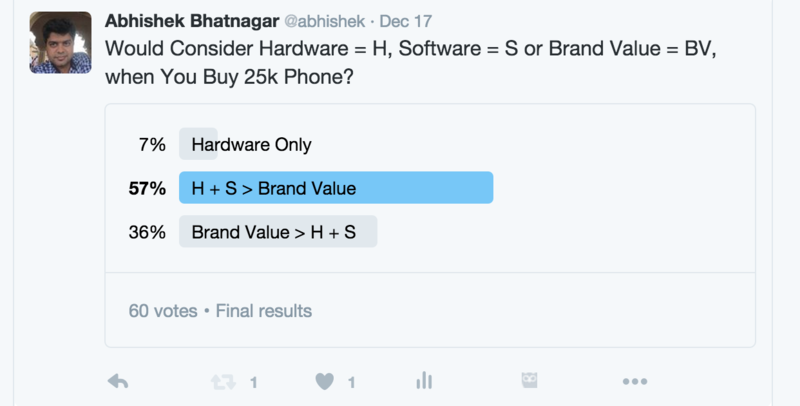 Would Consider Hardware = H, Software = S or Brand Value = BV, when You Buy 25k Phone? Recently, as the devices available have boomed in the budget and mid-expensive smartphone market, people tend to buy phones in these categories and enjoy their phones as much as they would have if they bought a high-end flagship. This trend was what let me to believe that the people do prefer good Hardware and Software experiences more than the Brand Value. Earlier, the high-end smartphone market was considered to be the best one because it offered a lot better user experience and better specifications. But lately, all these high-end smartphones are just coming with a lot of “gimmicks” so to say. The essential features required in a phone these days, including a decent camera, are well available in phones priced 25000 INR or below. Brand Value still matters to everyone in one or the other way. A better Brand Value would generally mean great after sales service, which a lot of new companies lack in India yet. If they provide good after sales service, it would be a killer deal for almost everyone. At this point in time, people who want to spend as much as 25000 INR on a smartphone, generally tend to go with the phones that give them the best bang for the buck. People with higher spending capacity, however, still might want to go with a higher end flagship only and that too mainly because of the Brand Value or some additional features that are offered on those devices. In conclusion to this article, I would just like to say that the trend, especially in India, has changed in the last year or so and I have seen it myself. A lot of people, who earlier would prefer a flagship from Samsung or LG or Apple, are now going for devices like the OnePlus Two because these devices provide all the things that they require at a much cheaper price compared to the flagship. People who value the additional features offered by traditional flagships, and believe that those features might come in handy to them, go with those devices. All in all, the budget and mid-expensive smartphone market has blossomed recently, and there is tight competition in this range with a new phone available if you increase the budget by as little as 1000INR with different specifications and experience.